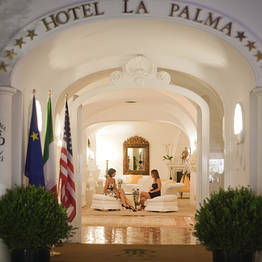 Hotel La Palma has been part of the history of Capri since the beginning of the 1800s, and is still one of the most famous and beloved luxury hotels on Capri. 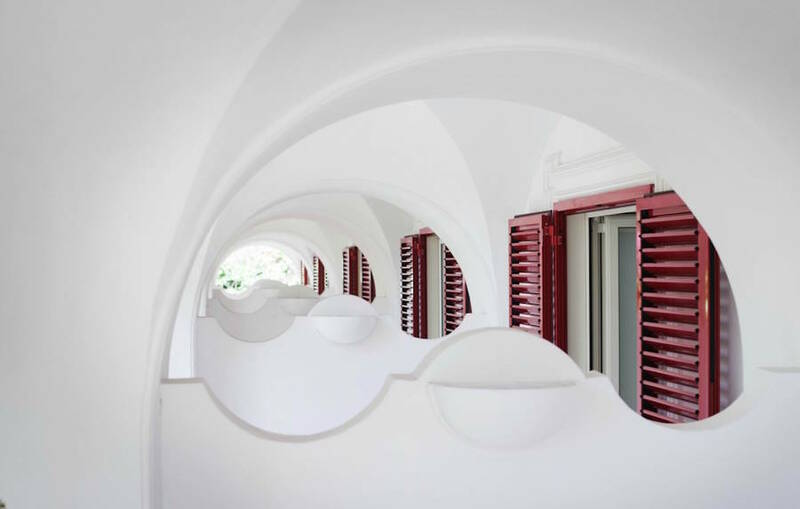 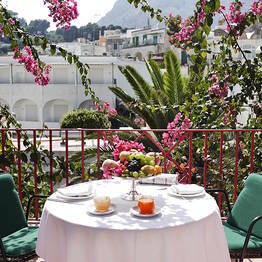 Its location in the heart of Capri, uniquely timeless style, and understated, elegant atmosphere has been attracting intellectuals and celebrities for more than a century. 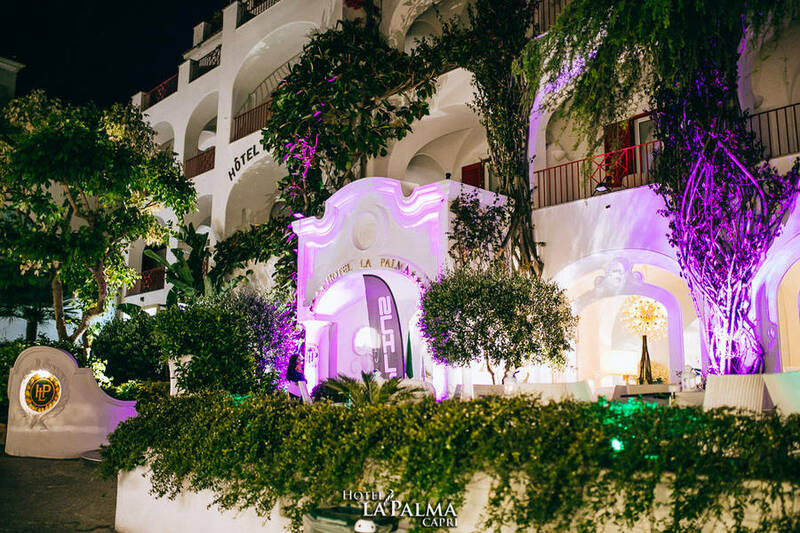 As soon as you set foot in Hotel La Palma, you will be struck by the informal elegance, where luxury means simplicity and impeccable service. 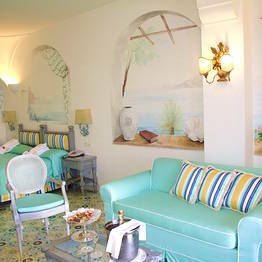 The 70 guest rooms are all unique, but maintain their original historic charm with fresco and trompe l’oeil decorations, plasterwork, arches, and Vietri ceramic tile. 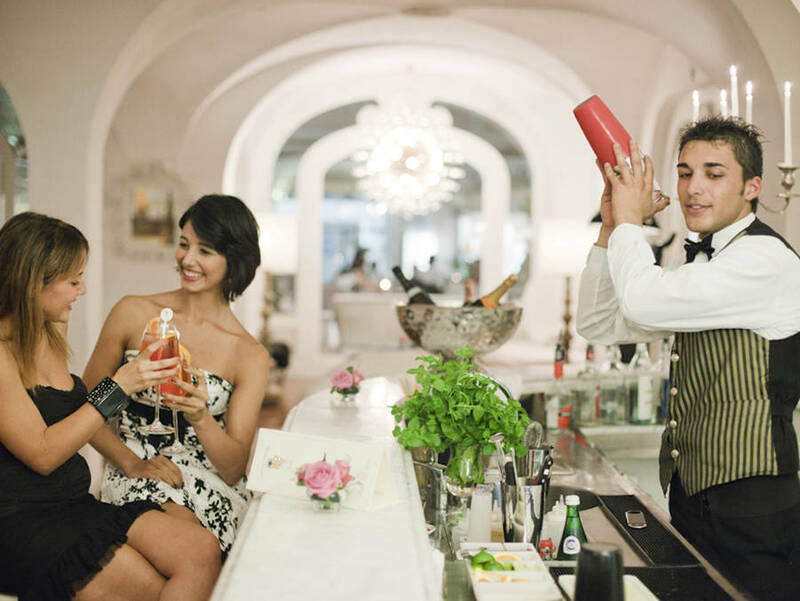 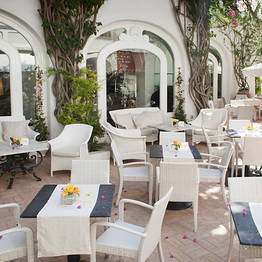 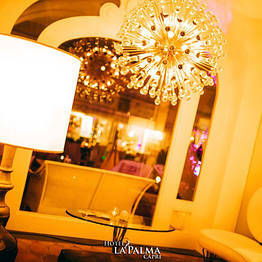 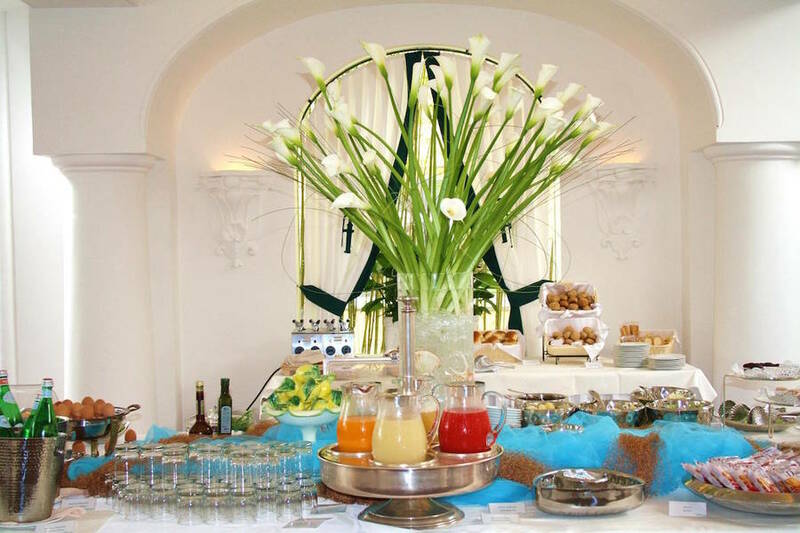 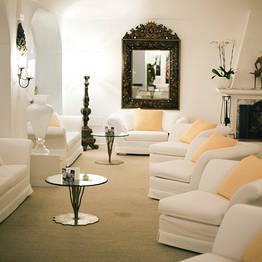 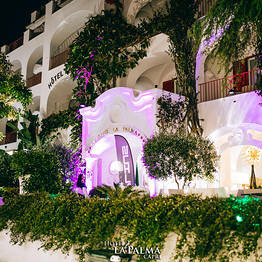 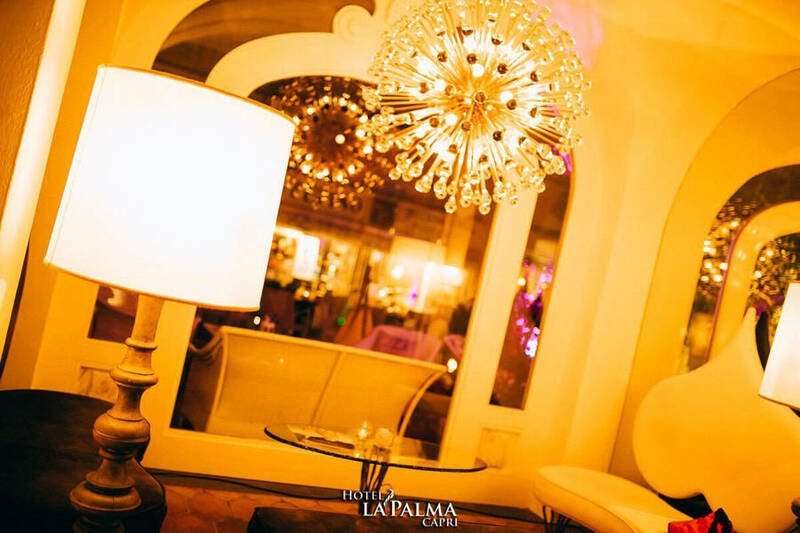 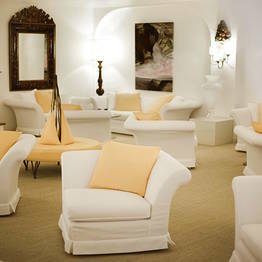 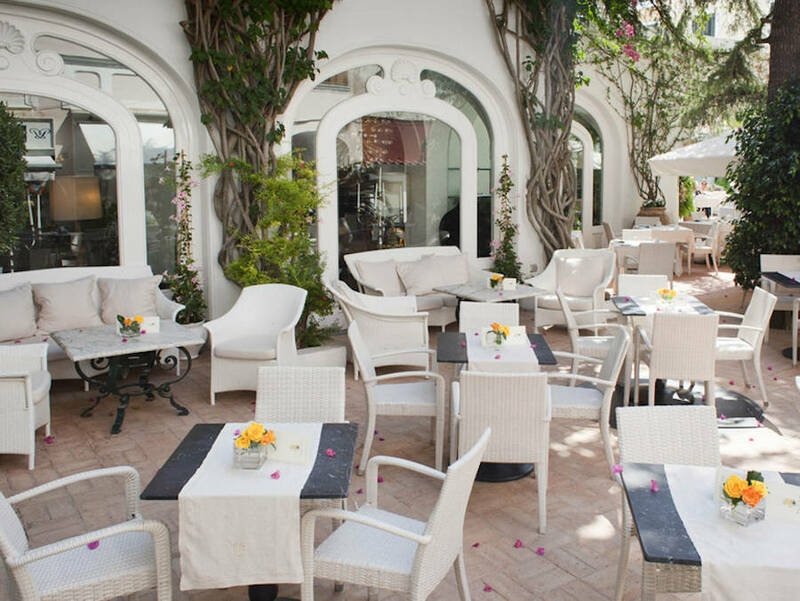 The classic decor and flawless service has made La Palma a symbol of the best of Capri's hospitality. 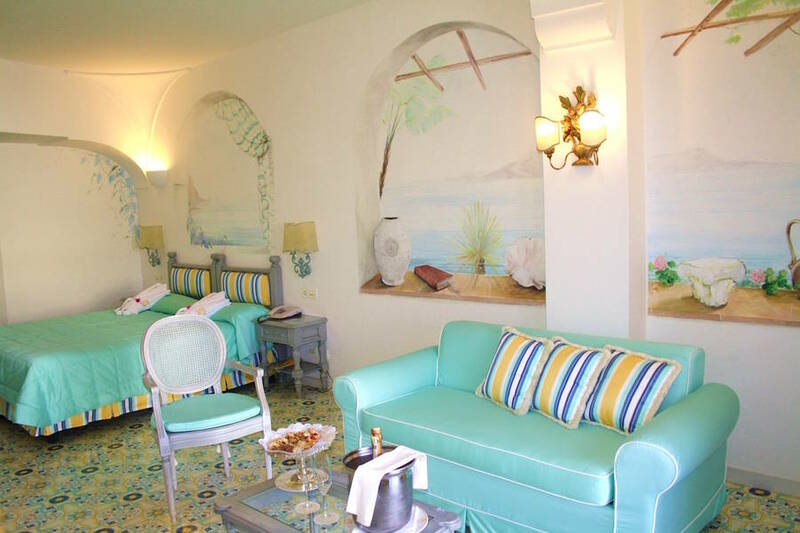 Rooms include all the high-end amenities you expect from a four-star hotel, including satellite tv, air conditioning, wifi, minibar, bathrobes, and personal products. 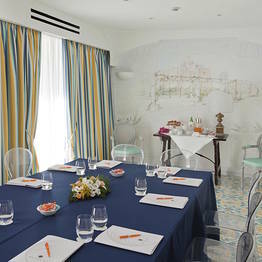 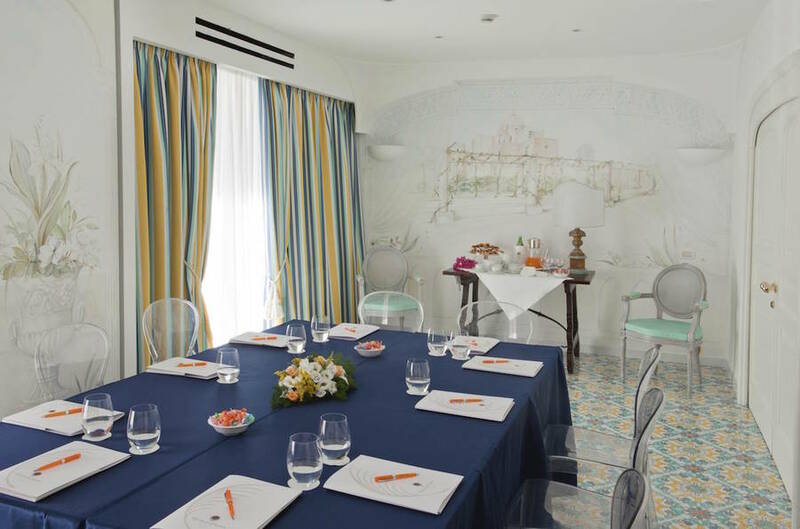 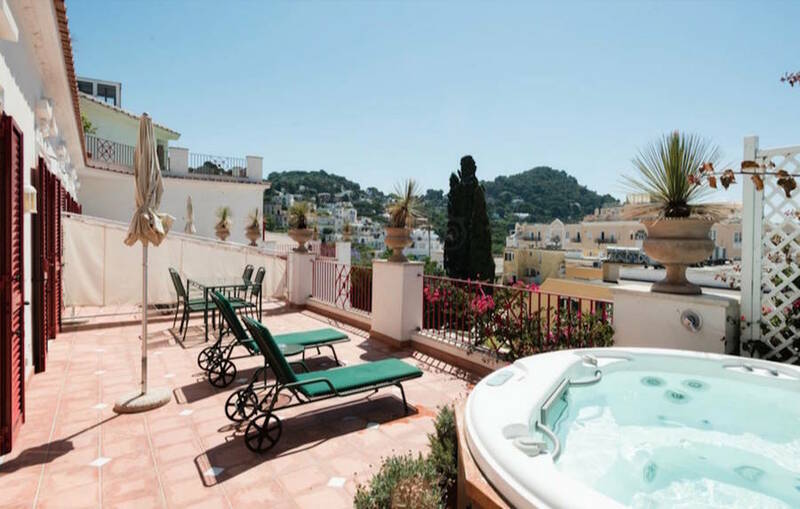 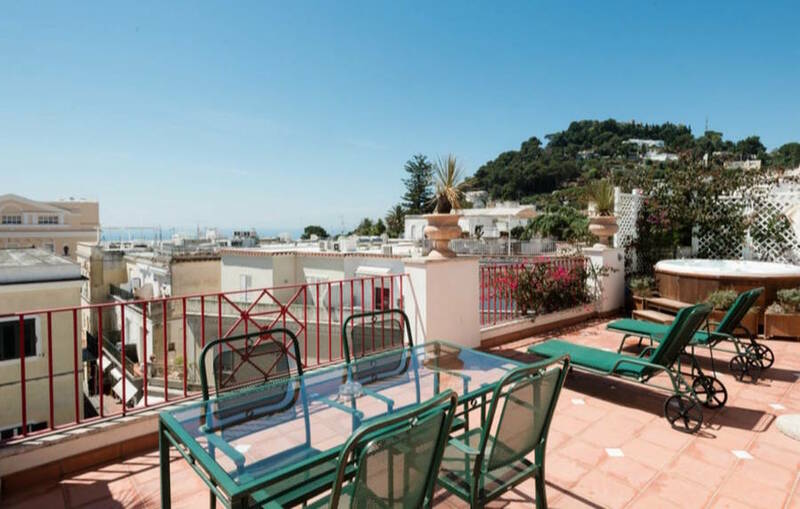 The jewel in the crown of each room is the private terrace (almost all rooms have one), where you can sit outside and enjoy the vibrant atmosphere of the heart of Capri, with the most elegant boutique just below and the bustling Piazzetta just steps away! 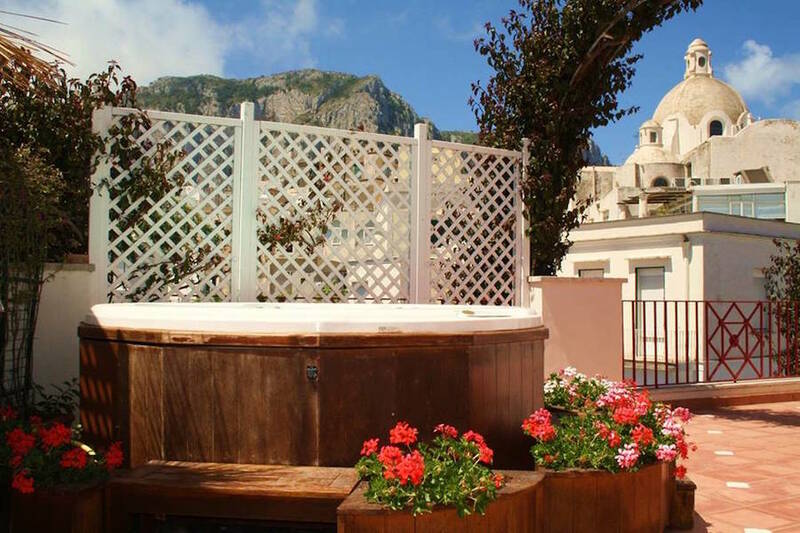 For a special indulgence, book a room with a terrace Jacuzzi! 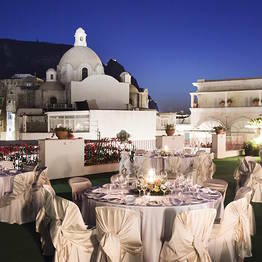 If you want a VIP dinner on Capri, you don't even need to leave the hotel! 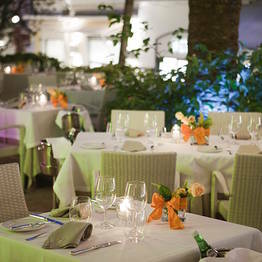 Just stop for cocktails at La Palma's bar, or book at table at Relais La Palma the most famous terrace restaurant in Capri. 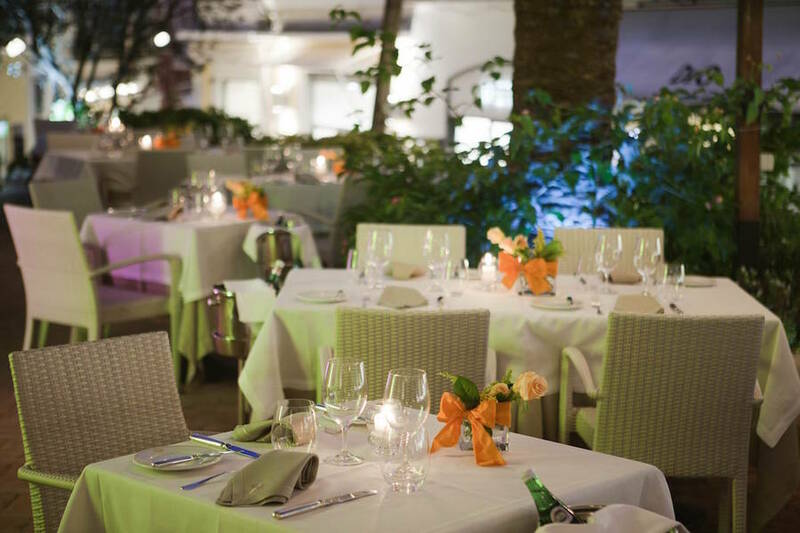 From the tables overlooking Vittorio Emanuele,the most delicious Mediterranean cuisine, and on warm summer nights, the candlelight and live music make this the best spot in Capri for a romantic dinner. 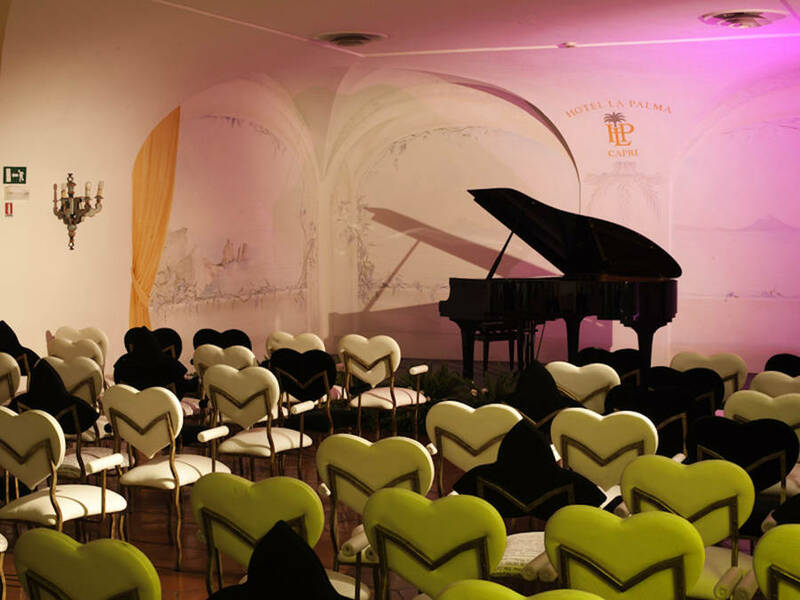 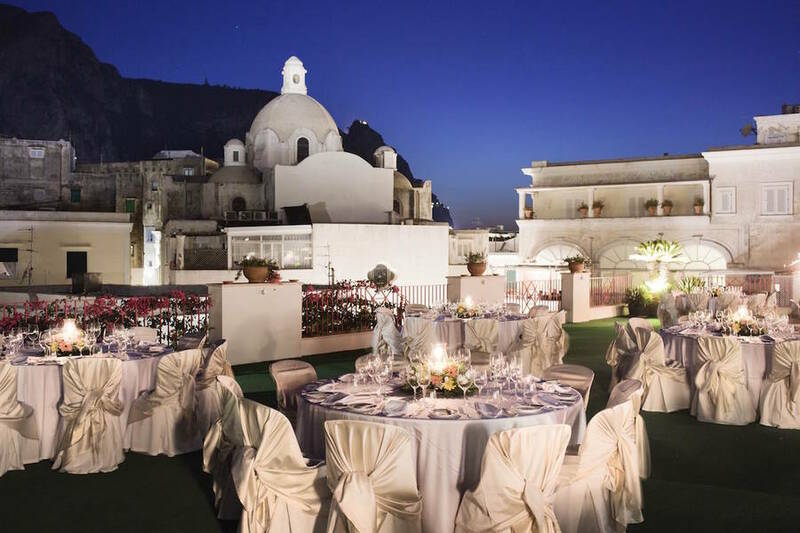 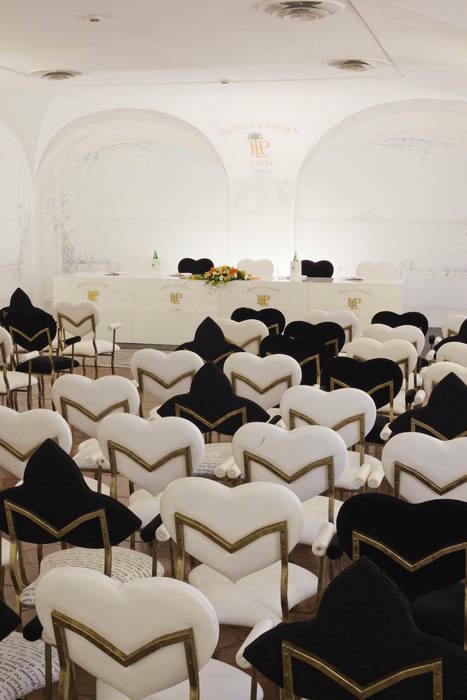 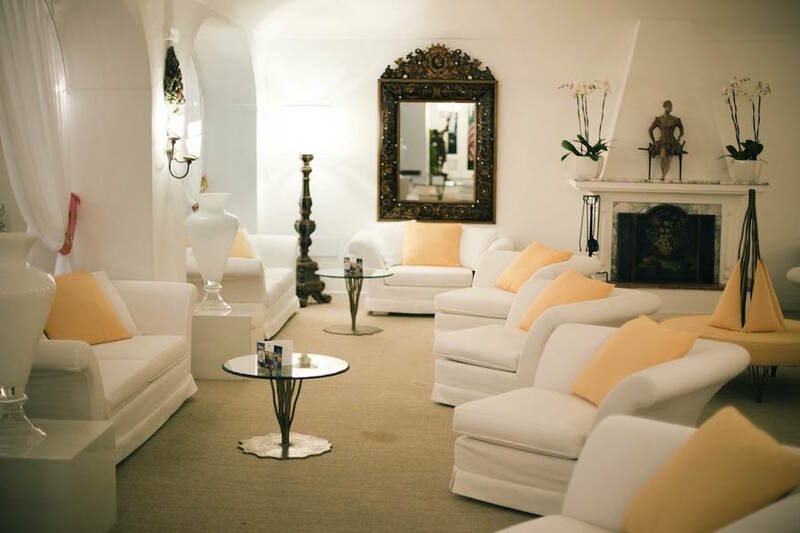 The location, atmosphere, and service at Hotel la Palma makes it the perfect choice for a destination wedding on Capri, with a professional staff available to take care of your event down to the smallest detail. 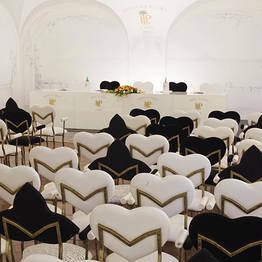 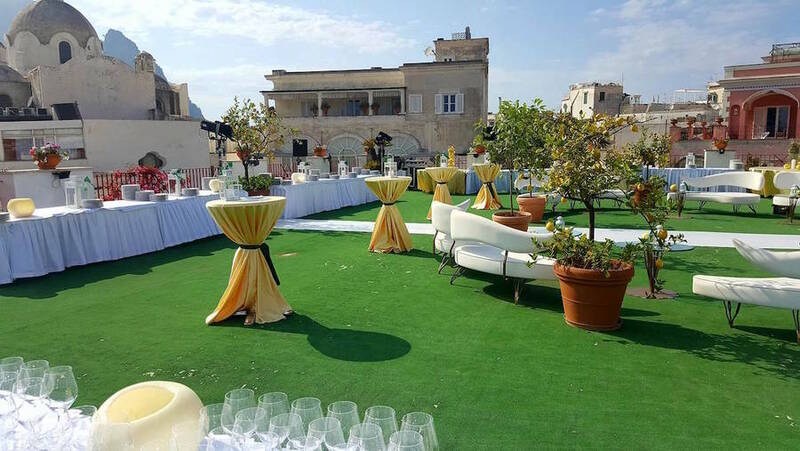 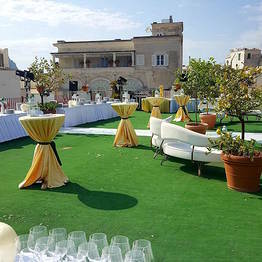 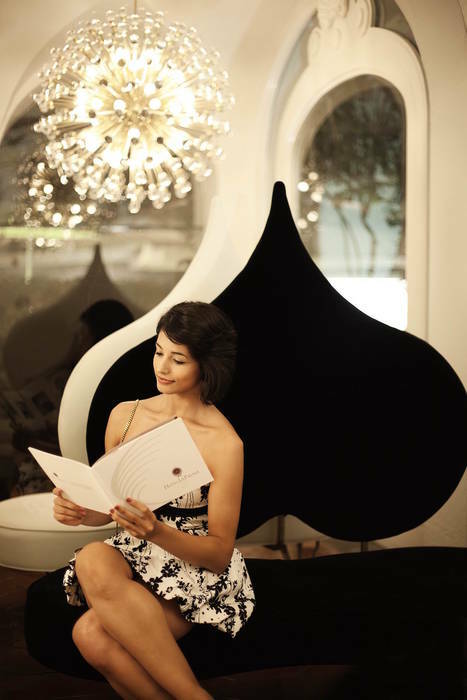 The hotel can also host conferences, meetings, and business presentations along with fashion shows, exhibitions, and cocktail parties thanks to the variety of event rooms and halls available and the flawless quality of hotel staff. 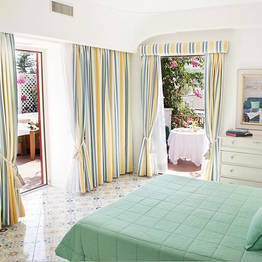 "Housekeeping was faultless: our sheets were changed every day and the room was tidied twice daily." 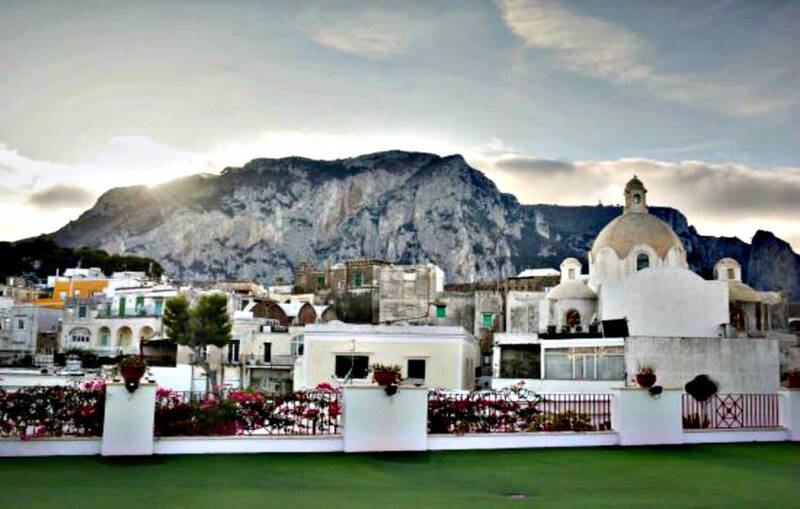 "It's an ideal hotel if you want to stay in the island's V.I.P zone, go shopping and hang out in Capri's trendiest clubs and bars. " 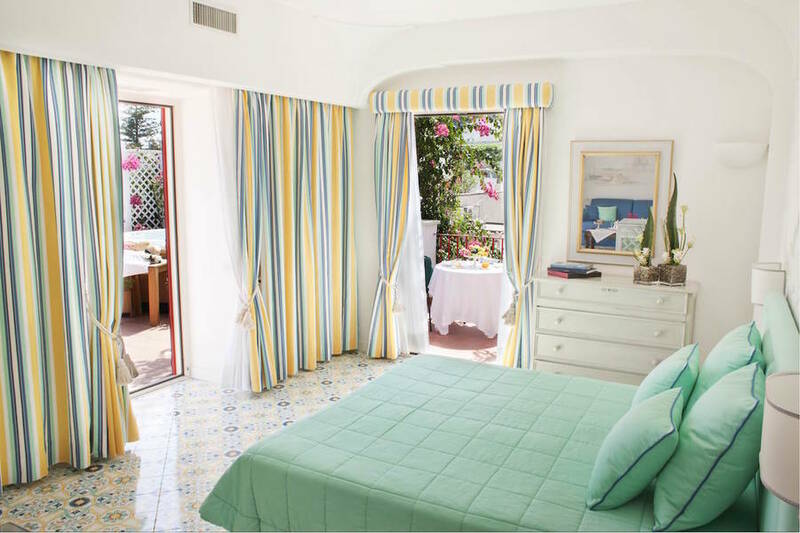 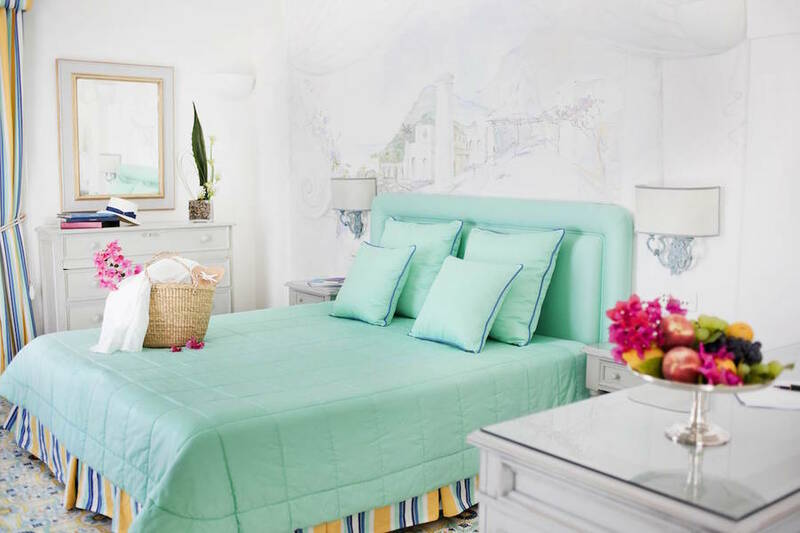 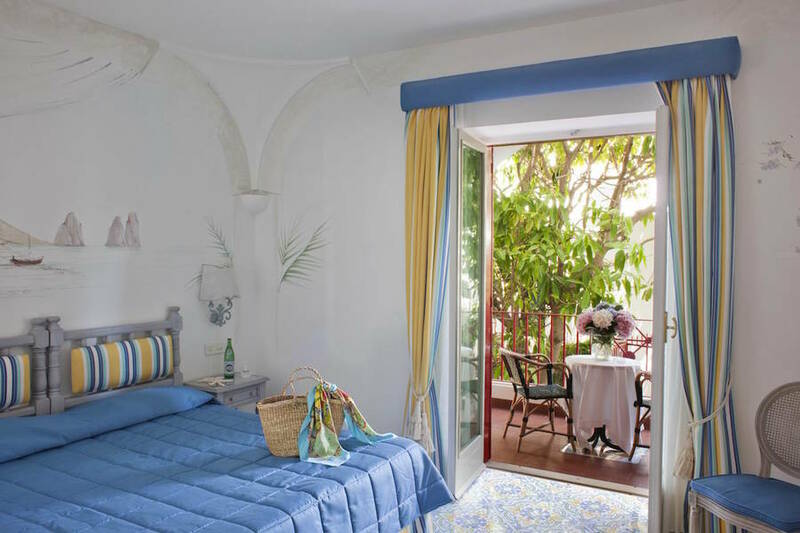 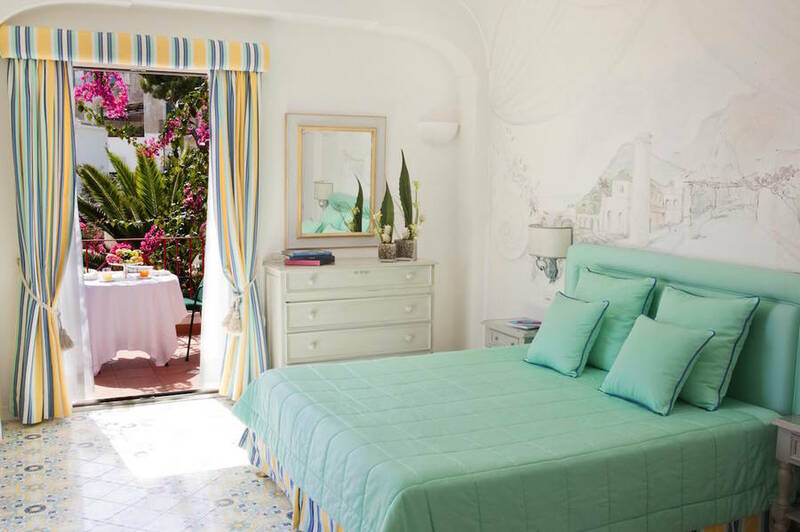 "The bedrooms decorated in pure Capri style, which have frescoes even in the bathrooms, are gorgeous. " 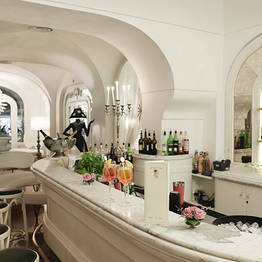 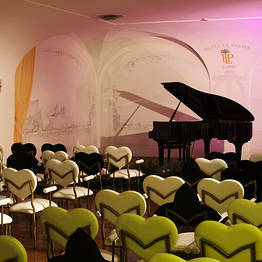 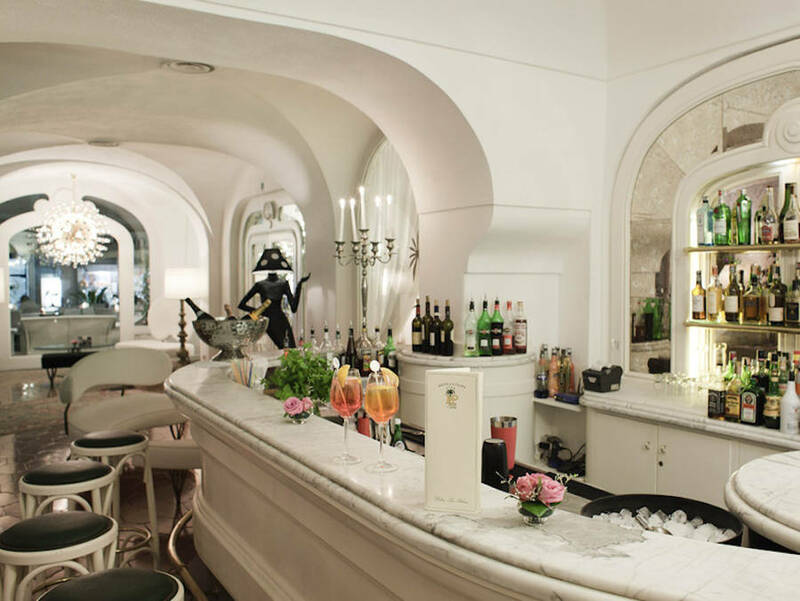 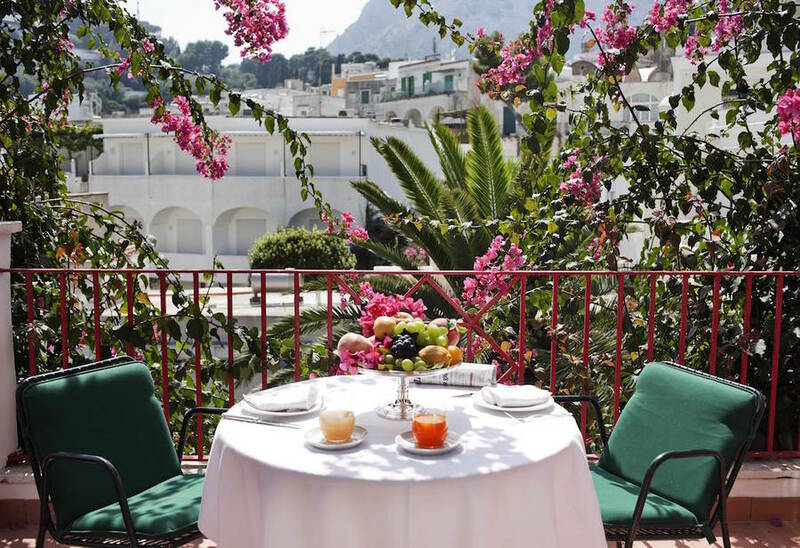 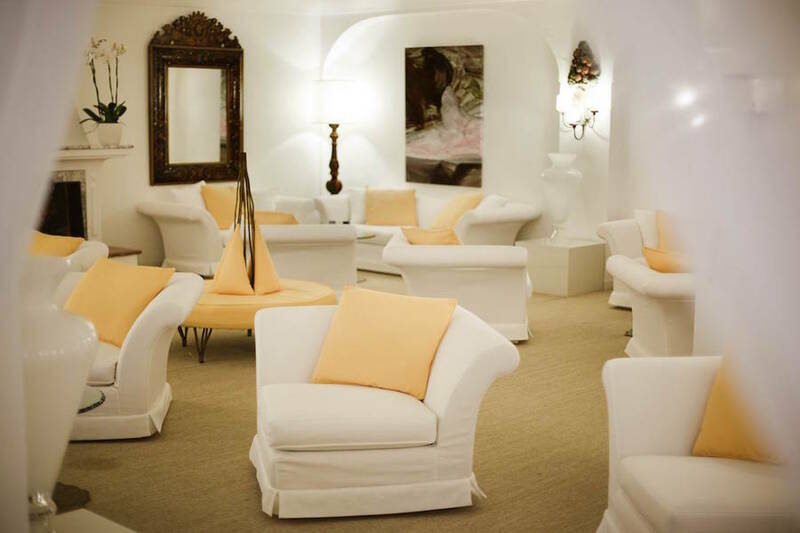 "A historic hotel right in the very center of Capri, practically next to the Piazzetta. " 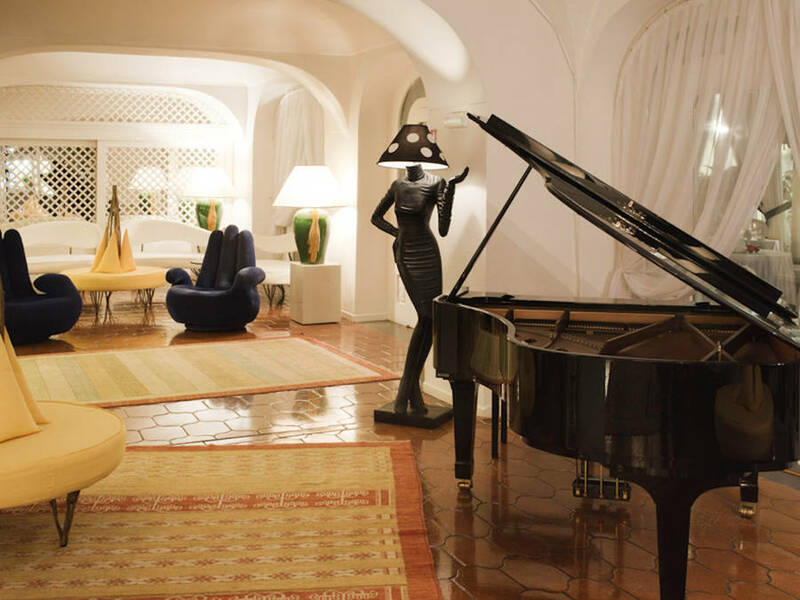 "We loved staying up until late, listening to the live piano music in the bar. " 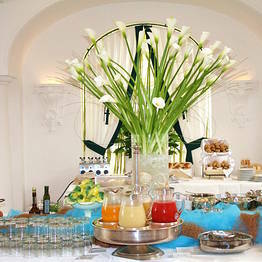 "Good quality breakfast and cuisine. " 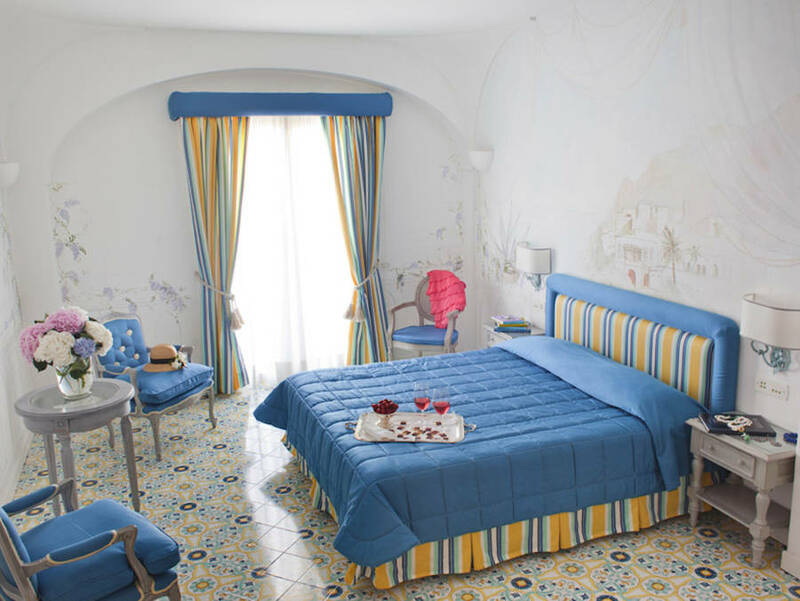 "We really enjoyed this hotel, and we'd totally stay here again when we come to Capri." 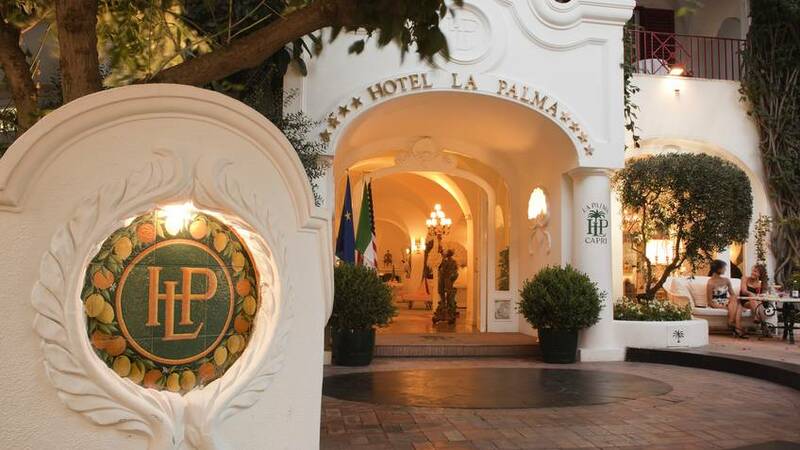 Hotel La Palma is located in the heart of Capri, along Via Vittorio Emanuele, the main road of the historic center, lined with exclusive boutiques, and just steps from the Piazzetta. 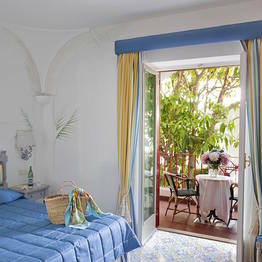 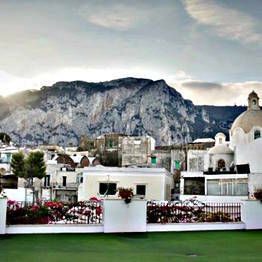 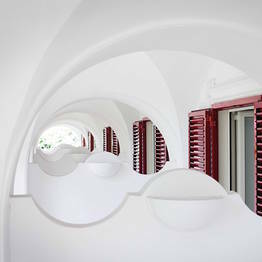 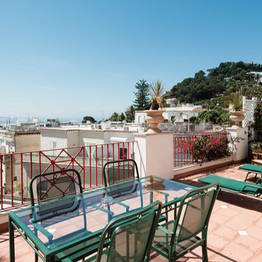 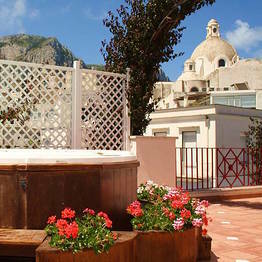 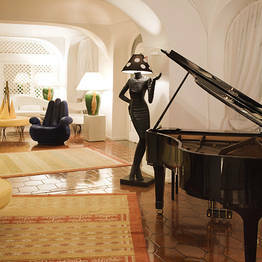 Book Hotel La Palma on Capri.net now with no additional booking fees.